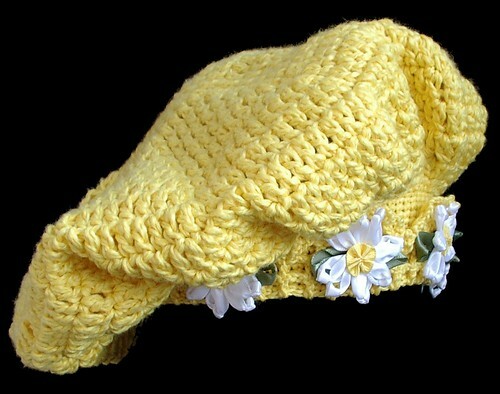 I have been working on this hat for a few days on and off. 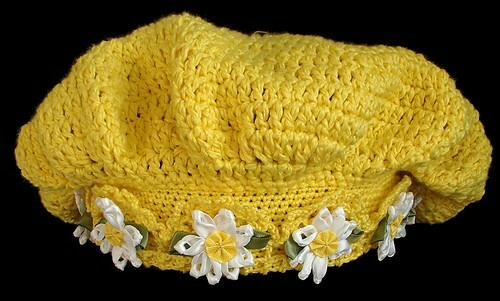 It is similar in style to the Irish tam but this is a softer yarn. 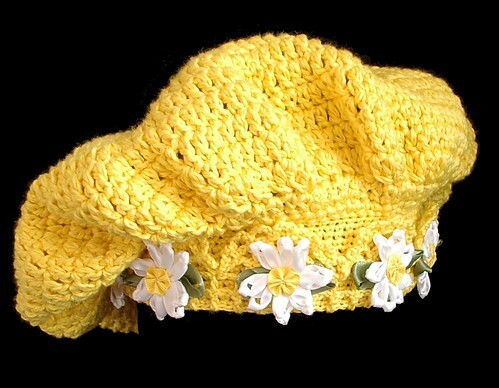 There are ten daisies going all around the brim of the hat. The top photo is true to color the others are a little washed out. The daisies are double sided satin ribbon the petals have a single knot at the tip of them. The center of the flowers is yellow grosgrain ribbon. The flowers have an accent of green that is double sided satin ribbon for the leaves. The ribbon daisies are a lovely touch. Very pretty.